Don't give your right eye for the perfect Halloween decoration, use ours. 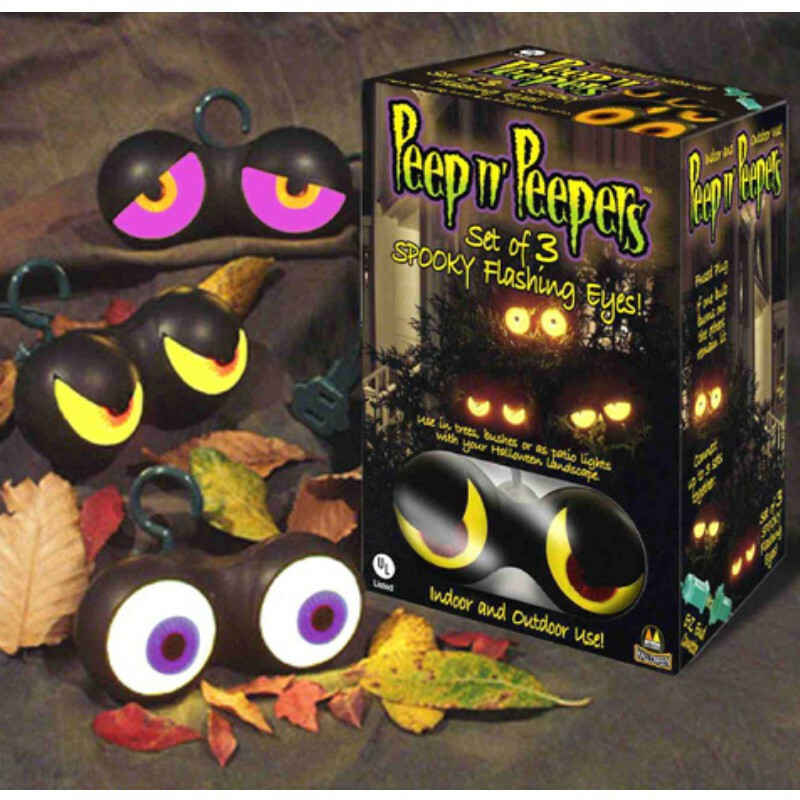 Our Peep n' Peepers are perfect for your haunted house or haunted party. Each package includes a set of three spooky eyes. Eyes feature 360 degree rotating eyelids and prismatic irises. Decoration measures 6 ft with 23" spacing between peppers. Features easy end to end connectors. String up to 3 sets together. Peepers can be used both indoors and out.